EXISTING OFFER JUST FELL THOROUGH DUE TO BUYER JOB LOSS!!! Affordable country living with public water and no neighbors nearby. 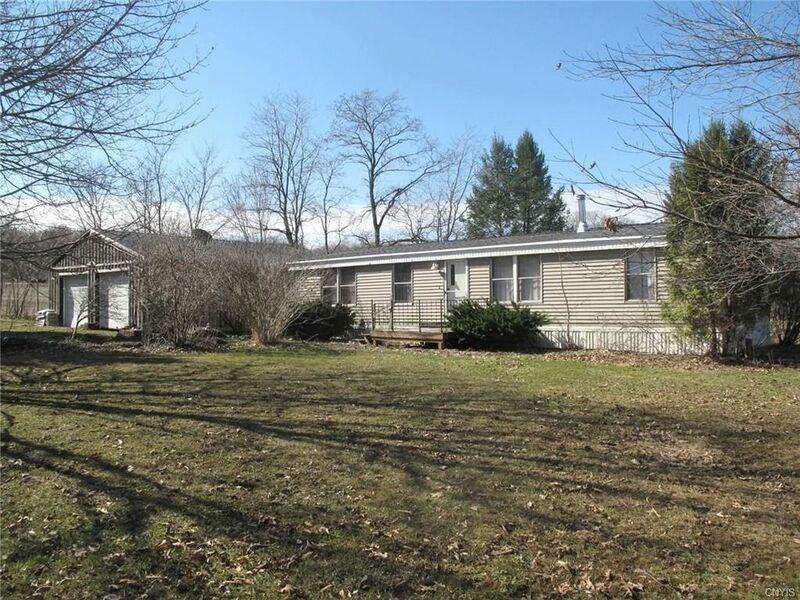 This immaculate ranch has been meticulously cared for and is in excellent condition. The one acre level setting boasts wonderful views, perennial gardens, and professional quality landscaping. The central location is ideal; 5 minutes from the quaint villages of Skaneateles and Elbridge and 15-20 minutes from downtown Auburn or Syracuse. Recent upgrades include new roof, vinyl siding, furnace, and pellet stove. The kitchen and bath have been remodeled and new floor coverings have been added. You will appreciate the two car garage, first floor laundry, master bedroom and bath, open floor plan, cathedral ceiling, high speed access, and low taxes.